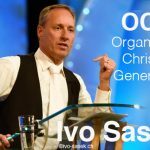 Le Sarment has recently responded to a statement made by Ivo Sasek, leader of a movement based in Switzerland, purporting to be an evangelical organization and calling itself the OCG -the Organic Generation of Christ. This statement was an extract from bulletin no 37, a publication sent out by the OCG to Christians of several countries (13 countries and around 200 towns, according to them), as part of a project entitled « a ministry of teaching for the churches». This bulletin contained some alarming statements, similar to those one might expect from other contemporary false Messiahs. The original can be obtained on request from our editor at Le Sarment. The response of Le Sarment, published in an article entitled, , has attracted widespread complaints from adherents of the OCG in France. Two Christian internet sites who had displayed the article were threatened with complaints of defamation of character and have subsequently retracted the article. The OCG states that it aims to recruit only mature Christians who have been considered worthy – following certain « spiritual evaluations »- to be truly called the Body of Christ and who have entered into « perfection ». The attitude adopted by members, whereby they are ready to use threats and pressure against other Christians, seems completely contrary to many elementary Biblical principles, and can only fuel suspicions as to the genuine effects of the so-called « higher » teachings given by their leader. Although we acknowledge that there are positive aspects in Ivo Sasek’s ministry and in the work of the OCG, such as certain themes of thought and a vision of the world to which we adhere, there are nevertheless several very worrying aspects. These have nothing to do with the elements of imperfection to be found in all organizations. The elements we wish to mention are more sinister and disturbing. Over the last few months we have been contacted by many diverse groups: people who had been drawn into the OCG but subsequently left; editors of German-speaking Christian magazines and certain groups whose job it is to observe what is happening amongst the sects -see references at the end of the text. – For people who are tempted to join OCG, that they may have access to a balanced source of information. – For people who are actually members of OCG, because we believe that in the present situation they do not have complete liberty of thought and action before God. – For the elders of the organization and especially Ivo Sasek, that by means of this article the group may be brought back from the errors of the present teaching and return once more into the true way of the glory of Christ and not of man. Five main points can be made at the present time. Maintaining independence can be a positive thing, provided that a relationship is kept with the rest of the Body of Christ. It becomes a trap when it becomes absolute, especially if there is a single person at the head. Insidiously, submission to others is avoided and the idea that we are the only repository of God’s revelation takes hold. This is seen in all movements with a so-called Guru at the head. Comments coming from diverse sources close to the OCG confirm that for several years Ivo Sasek has refused to accept advice and cannot tolerate opposition. He has become a teacher that cannot be taught, challenging many things, but refusing to accept being challenged. Leaders who cut themselves off from others tend to have no confidence in the opinion of others concerning the will of God. All ministers can be tempted in this way, especially if they think that they can only receive guidance directly from God himself. This is why, in the Scriptures, the « Communion of Ministers » is so important (Ephesians5:21, Colossians3:13, Philippians2:3). It is no good surrounding ourselves uniquely with people of the same opinion; well balanced and healthy differences of opinion are very necessary in leading us towards the truth. We ought to always be able to speak the truth to each other, but for this to be possible there needs to be no fear in our relationships, no oppressive hierarchy and no hypocrisy. This does not seem to be the case in the teachings of Ivo Sasek, which seem rather to deify the leader and his teachings. 2. THE ABSOLUTE AUTHORITY OF THE LEADER. We have already spoken of this under point 1 above. It is the sine qua non of a sectarian leader. Such a leader makes extraordinary claims with such authority that he places himself above all other Christian leaders of his time. We quote from Ivo Sasek’s circular no 37. Obviously this implies that at the present time it is the name of Ivo Sasek which is synonymous with the name of God. It is by this means that he is attempting to establish his spiritual infallibility. « EVALUATIONS » are compulsory for all those who wish to become members of the Organic Generation of Christ. These evaluations are carried out exclusively by the leader, and it is he who decides if the person is sufficiently holy or if he still has improvements to make. This obviously extends the leader’s area of authority, possibly even as far as judging the other person’s salvation. « Until I personally confirm whether someone is truly from God, I would like this person to come to me for further evaluation, to go through the tests again and to seriously commit themselves to our ministry … This is all part of my ministry. It is not to raise myself up, but to be absolutely sure …I know this may appear totally authoritarian, and even papal. I know that this is a stumbling block: but just as it is written that in the end times each one will hurt and graze their hands on Christ, so I must do it! » (Wandel im Geist (19) « Tranformation dans l’Esprit »). For any self respecting church this method of functioning is unacceptable. It negates the basic biblical principles, and a group of people who accept this type of spiritual leadership are preparing the way for all manner of excesses and abuse. It seems that Ivo Sasek is working on presenting a certain image of himself. He often shows that he is aware of the extravagance of his claims, but he is so convinced of his spiritual superiority that he believes he is above all other authority. His adherents are therefore faced with the choice of either accepting his authority and staying within the circle of blessing, or refusing and being excluded. Quote from circular no 37. « As soon as I decide upon it, there will be no further direct access to the throne ». 3. SPIRITUAL JUDGEMENT OF THE MEMBERS IS INHIBITED. This follows on naturally from the above. At a subliminal level, independent thought is quashed by fear of being excluded from the group. This is what sect-watchers call « mental manipulation ». Members of the OCG, together with their families and their children, dare not question Ivo Sasek’s teachings, or even doubt them, for fear of crossing the « invisible line » which might exclude them from salvation. This fear, together with self-imposed silence, means that errors and mistakes made by the leaders are not exposed and dealt with in the normal way. This naturally casts doubt on the reliability and credibility of opinions and statements coming from OCG members. Ivo Sasek’s threatening statements and intimidations are totally unacceptable and dangerous. Unfortunately, unless responsible members of the Body of Christ challenge his wrong teachings, not only he and his followers, but also other Christians attracted to the OCG, will remain in the dark. Applicants for membership of the OCG are, from the moment of their introduction, given basic teachings on the development of personal holiness. These include guidance on Bible reading and also on the writings of Ivo Sasek himself. The reading program is carefully supervised with the object of a complete indoctrination of the individual. During 2008, no less than 17 of Sasek’s writings were to be studied in depth. Once approved, newcomers are presented with a copy of Sasek’s new translation of the Bible. It is easy to foresee that this translation is destined not only to be used by members as their only translation, but also to be promoted as widely as possible outside the movement. 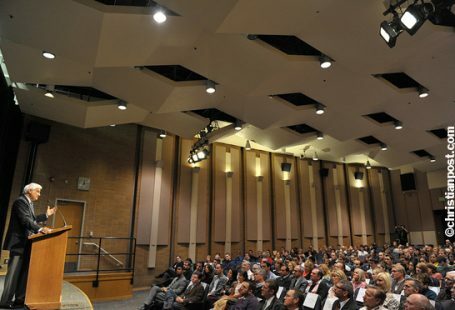 This exclusive use of a Bible translation approved by the leadership brings to mind the practice of other groups such as the Mormons and the Jehovah’s Witnesses. The OCG shares disturbing similarities with movements such as these. Apart from a manipulated theology, the OCG also makes pretentious claims to fresh revelation with the object of drawing in individuals who do not have the motivation to think for themselves. The idea is to instill a systematic view of God’s work as interpreted uniquely and entirely by Sasek himself. It is well known that claims to have special revelation are a mark of many sects. a). A Godly world order. The teaching is that God is to establish structured church ministries, enabling each individual in authority to clearly find his place (a husband with his wife, for example). These teachings are very family oriented. There is no objection to that which is truly in accord with the teaching of Scripture, but it is unacceptable that the new order should be under the sole authority of Sasek, who claims to speak for God, while saying at the same time that he has no desire to be anyone special, but simply a servant. A quotation to illustrate this point. b) The theory of the « Saviour Generation ». Following the rejection of Sasek’s movement by the evangelical churches in Germany, Ivo Sasek has propounded as a foundational doctrine of OCG the idea of an elite group of believers who are to continue the work of salvation initiated by Jesus. This group is to be known as the Saviour Generation. As a group, it claims for itself the ability to save sinners as Christ saves them. The group also claims that certain biblical prophecies which relate to Christ are in fact being fulfilled in them. Members of the Saviour Generation must reject conventional Christianity completely, accept the personal authority of Sasek and, obviously, become members of OCG. Only people who have achieved perfection and are free from sin may become part of the group. Sasek, as its leader, lays claim to this perfection himself. The doctrine, which is generally known as « restoration theology », is favoured amongst groups which teach that the Kingdom of God is here now (the Kingdom Now movement) and that it is not Christ who will destroy the Antichrist, but those Christians who will be part of the Body of Christ on earth at that moment. These Christians will become Christ Himself, and will be the true « Organic Generation of Christ ». Ivo Sasek and his followers believe that they speak to the world with the authority of the voice of God Himself. This « Kingdom Now » teaching implies that the return of Christ is potentially unnecessary, since it will be the church that must complete God’s Plan on earth. The following extract of an article from Banner Ministries, written by Tricia Tillin, develops the analysis of this theory. « This doctrine requires the establishment of a church system based on human leadership. To obtain global acceptance, the restoration teachings have to be consistent and universal. For this to be so, individuals must completely accept the authority of their leaders…To reject this system of authority is to automatically exclude oneself from the Body of Christ. Several groups adhering to this doctrine claim that their group or church is the only true way to salvation, not Jesus Christ the Saviour, and that all those outside their system are excluded from the Kingdom of God. This system puts the Church in the place of Jesus Christ. What foolishness to worry about difficulties when I have all of the nature of the Godhead within me. I let all natural weakness fall away from me, whatever its source… What enormous potential we have if only we would lay hold of our inheritance!… Like Moses, Joshua, Elijah, Elisha and others, we can speak the creative word and see it come to pass! All things were created simply for us to claim them by faith. All our difficulties exist only in order that we should overcome them by faith and thus come to know who we really are. c) The theory of progressive revelation. Ivo Sasek tries to establish a theory of God’s chosen instruments (men) who appear at given times according to the will of God, with new revelations of His will, appropriate to that particular time. According to him, men of God such as Moses or Luther, brought a new revelation of God’s purposes to their generation, which implies that this would not exclude later instruments bringing new revelations in the future. 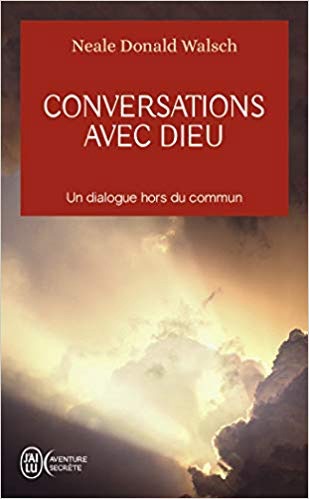 Sasek is thus in the line of progressive revelation with his teachings for today, which are complementary to Scripture and of the same validity as the writings of the Bible. It would seem that the intention is to replace the sole authority of the Bible with a progressive revelation based on the anointing given only to the Saviour Generation. By breaking with the authority of Scripture Sasek opens the way for himself to make whatever announcements he wants without fear of contradiction, no matter how inconsistent with the truth. He will thus be able to threaten his detractors (on the outside), and manipulate the consciences of his followers with impunity (on the inside). 1. 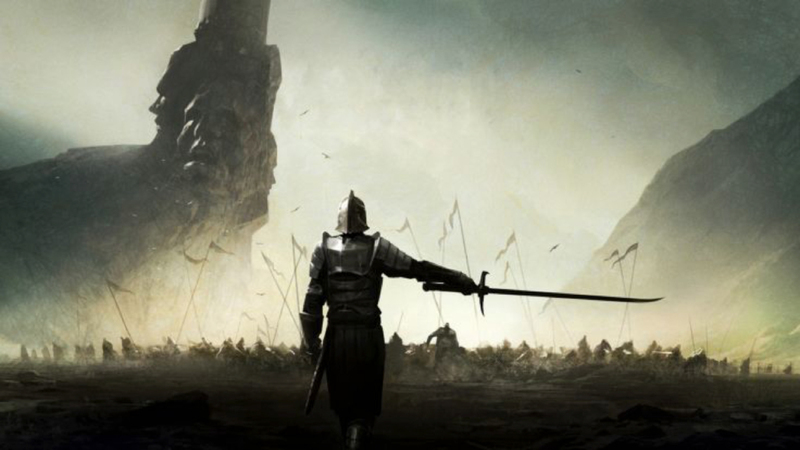 Ivo Sasek has adopted an extremely menacing attitude towards those who do not accept his claims. This openly aggressive stance is a very disturbing development. He claims to be a servant of God, sent to bless, but he is in a large measure a person who curses those who are against him. His claim to be both judge and jury in his condemnations arise from his false beliefs regarding himself as the mouthpiece of God. In demanding that his hearers submit to him alone, he accepts no higher authority over himself. No criticism is allowed because he is in direct communication with God. This is in contradiction to the experience of those who truly walk closely with God. These have learned that humility is essential in being intimate with God. They have learnt to crucify their natural desires and affections. 2. In his efforts to silence those who only wish to be objective about his movement in attempting to point out its errors and weaknesses, Sasek demonstrates his own lack of objectivity. He clearly reveals that he is not interested in the truth. In refusing the right of a believer to test the spirits and examine those who claim to be prophets, he reveals where he is actually coming from, exposing the fact that his spiritual credentials are faulty. Every true servant of God recognizes that they will experience difficulties and will be opposed, even to the point of being slandered. Even a man’s own family may reject him (Matt.13:57), but spiritual maturity is found in the meek acceptance of these things, counting it an honour to suffer them on behalf of the Christ (Acts 5:41). 3. Hardly any person in the history of the Christian faith has ever dared to make such claims as Ivo Sasek. In fact we cannot think of a single one, unless you include some of the extreme fringe movements. Even allowing for the fact that his inflated statements regarding his person are not a large part of his leadership role of the OCG, they are nevertheless fundamental to it and we cannot ignore them. They are either to be accepted in totality, or rejected. A decision must also be taken as to the validity of his menacing pronouncements against those who disagree with him. The Lord will bless all those who glorify His name, who resist error and who act « to defend the Faith given once and for all time to the saints » (Jude 1:3), for nothing will ever be added to the faith that has been revealed in the Scriptures. It is worth recalling that only when Christ himself is manifested will we be manifested with Him (Colossians 3:4). No one has the right to say that he himself will preempt this manifestation. Those who try to do so reveal their true nature and their spiritual blindness. Everyone who seeks to lord it over his fellow believers, even if claiming to do so as a representative of Christ, is simply usurping the place which belongs only to Jesus. The present times are characterized by the rejection of the lordship of Christ, and on earth those who seek to wear crowns will only find crowns of thorns. The servant is not greater than his master. In the light of the issues raised here, which only represent a part of all the elements that still need to be looked at, it seems right to publish this second warning, in order that everyone may be free to form their own objective opinion . This article is written particularly for those who are experiencing difficulty and perhaps are even afraid to seek answers to the questions which pose themselves regarding the OCG. This fear may be based upon the threats and intimidations which Ivo Sasek pronounces against those who oppose him. Such people must be reassured that these threatening statements have no basis whatsoever in Scripture and can be ignored as having no validity. We all have the right, even the obligation according to the Bible, to examine all things, to test the spirits (and men) to see if they are of God. (1 Thessalonians 5:21, 1 John 4:1). May the Lord bless each one of us, including all the members of the OCG, and may all the powers of deception be exposed and swept away in the name of the Lord Jesus Christ, that we may all know the liberation of the Gospel. Que penser de Bethel Church/Bill Johnson ? Rustine dans Ne laissez pas la réalité définir la vérité !